Artenova has recently developed elegant and harmonious egg-shaped jars of various sizes. The egg shape, being devoid of corners, promotes the natural movement of the lees. 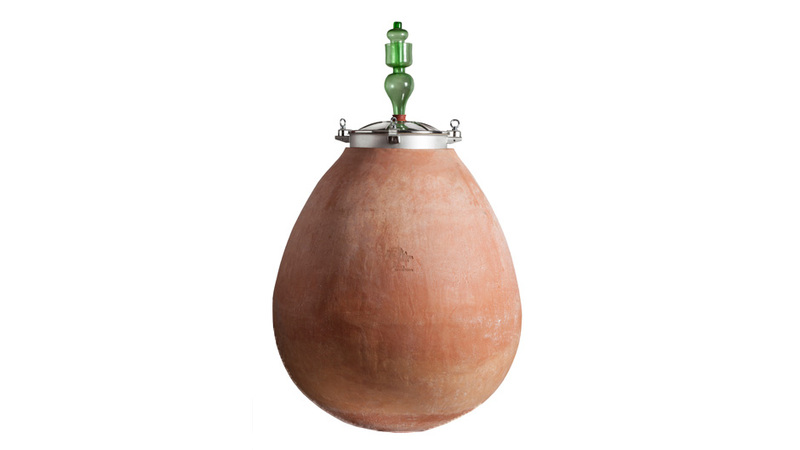 Wine fermented in an egg shaped Jar undergoes continuous convective motions that tend to maintain the suspension and continuous tumbling about of the lees. So in addition to the passage of oxygen, typical of both terracotta and cement containers, we have this natural movement of the lees that can be likened to a continuous bâtonnage. The contact of the wine with the lees is very important for its maturation and refinement, especially when it comes to white wines.